In the previous two posts, we have looked at the distinction between form and matter. The first post dealt with this distinction in relation to the republication of the law of the covenant of works in the Mosaic covenant. 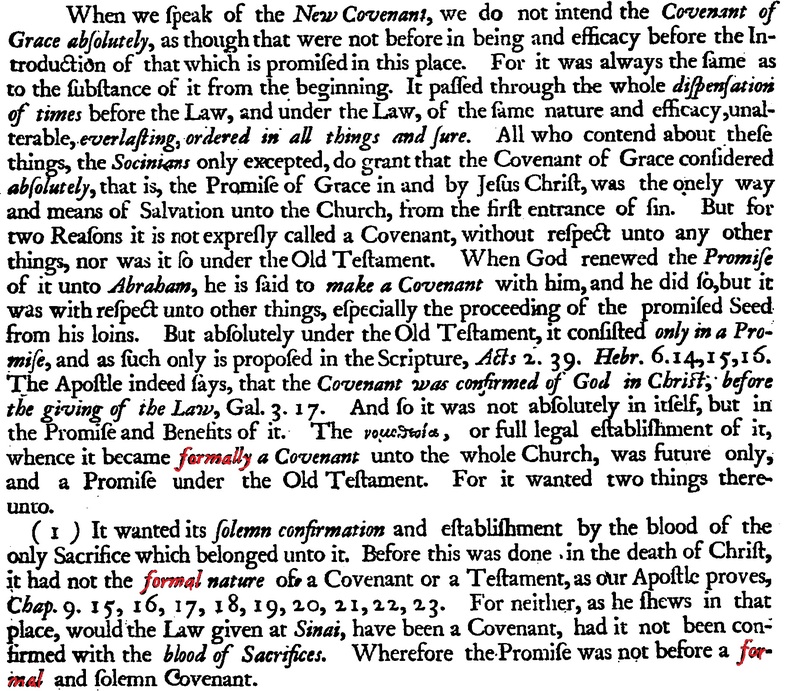 The second post dealt with this distinction more broadly, and showed the direction that the Particular Baptists would take this distinction in order to say that though the promise of the new covenant (the gospel) was made known in all of redemptive history, it was not formally established as a covenant until Christ’s death. 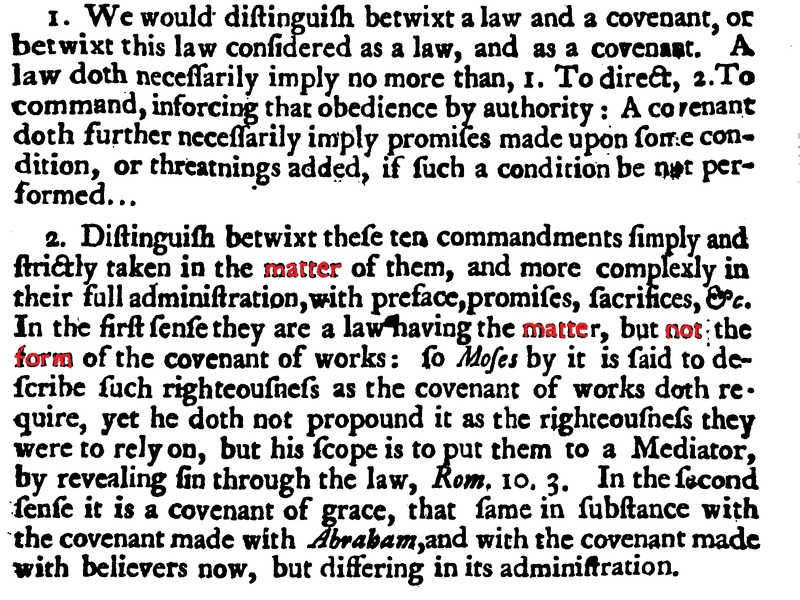 To refresh, in light of the formal/material distinction, just because the law is present in a given covenant, it does not mean that this covenant is the covenant of works. Conversely, just because the promise (the gospel) is present in a given covenant, it does not mean that this covenant is the covenant of grace. In this post, I want to continue along similar lines in order to show the differences between Particular Baptist federal theology and that of their Paedobaptist brothers. I want to do this by showing how the same argumentation was employed, only with completely opposite arguments. Let’s begin with the Paedobaptists. Peter Bulkley argues that although the law of the covenant of works was revealed to Israel in the Mosaic covenant, the Mosaic covenant was not a covenant of works. Why? Because the Mosaic covenant was established on different terms and conditions than the covenant of works. For Bulkley, the Mosaic covenant was an administration of the covenant of grace. In fact, it was the covenant of grace. 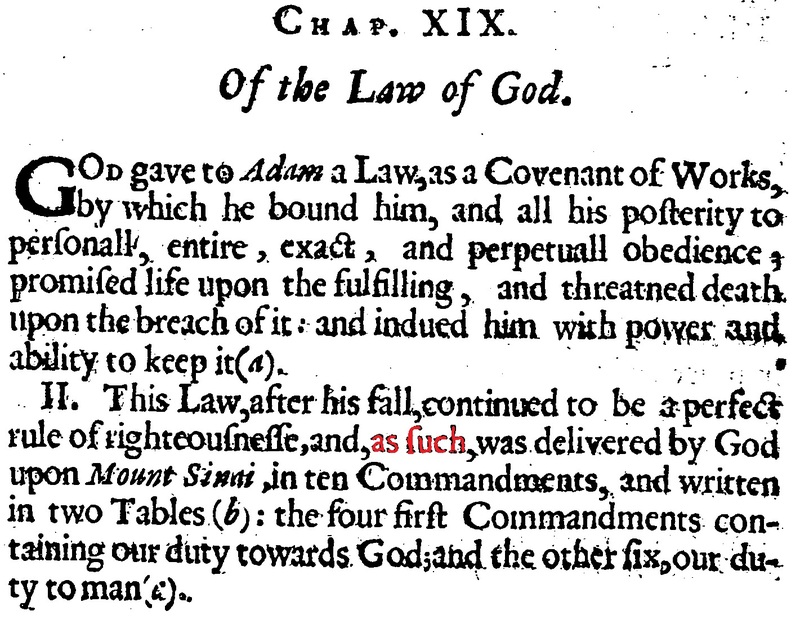 Notice the argumentation: the law of the covenant of works, i.e. its material basis, was revealed to Israel, but it was not the basis for their covenant. William Bridge makes the same argument. He begins with the same foundation of the substance/administration distinction. The Mosaic covenant is the covenant of grace. In the Mosaic covenant, the covenant of works is declared, but the covenant of grace is actually made. The Particular Baptists employed the same argumentation with opposite arguments. They argued that the promises of the new covenant were revealed and made known from Genesis 3:15 onward, but they were not the material basis for a formal covenant until Christ spilled his blood. The new covenant was truly new. No covenant leading up to it had been established on the promise of eternal forgiveness of sins. All of the covenants of the Old Testament contributed to the progressive revelation of the new covenant, but they were not the new covenant in and of themselves. The new covenant was established on better promises, which meant that it was established on different promises which meant that it was a different covenant. 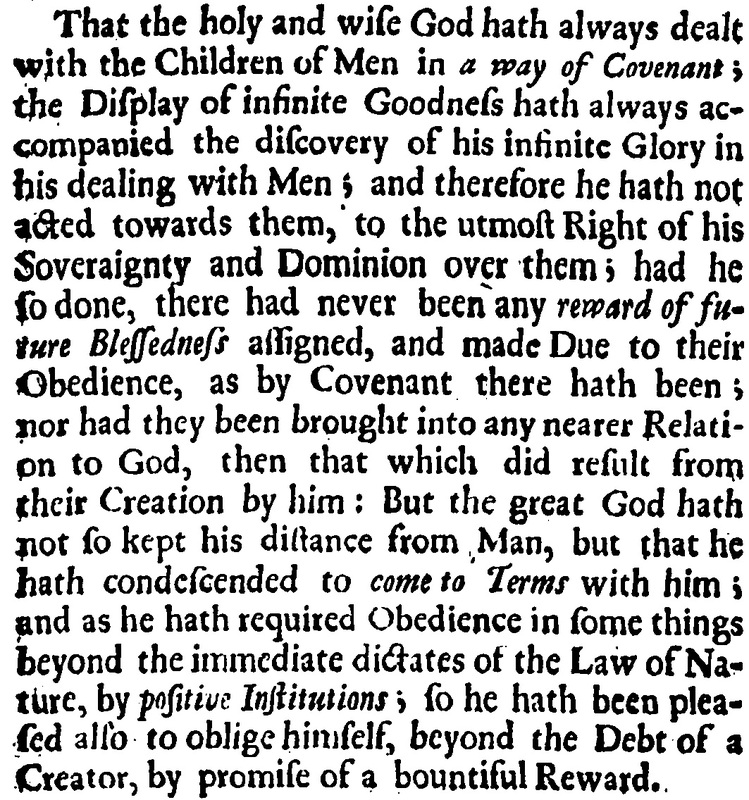 Nehemiah Coxe gives us an example of the covenant of grace being revealed without being formally made or transacted. 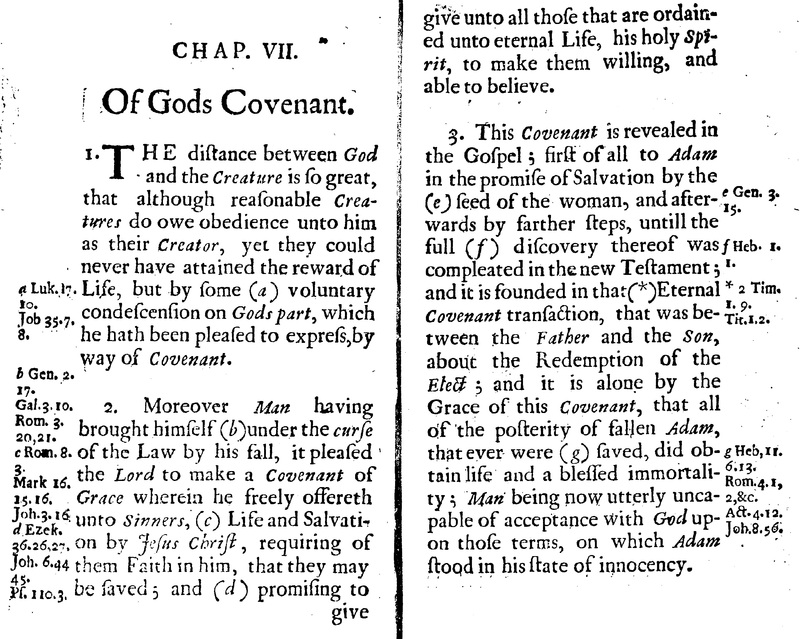 Christopher Blackwood argues that the new covenant is promised but not covenanted in Genesis 17. 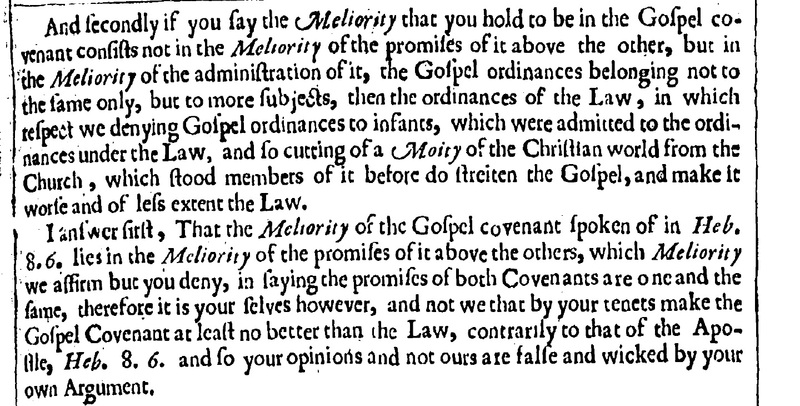 Isaac Backus makes the same argument. This argumentation has been called “promise and promulgation.” The new covenant is promised, but not promulgated in the Old Testament. It exists in its promises alone. 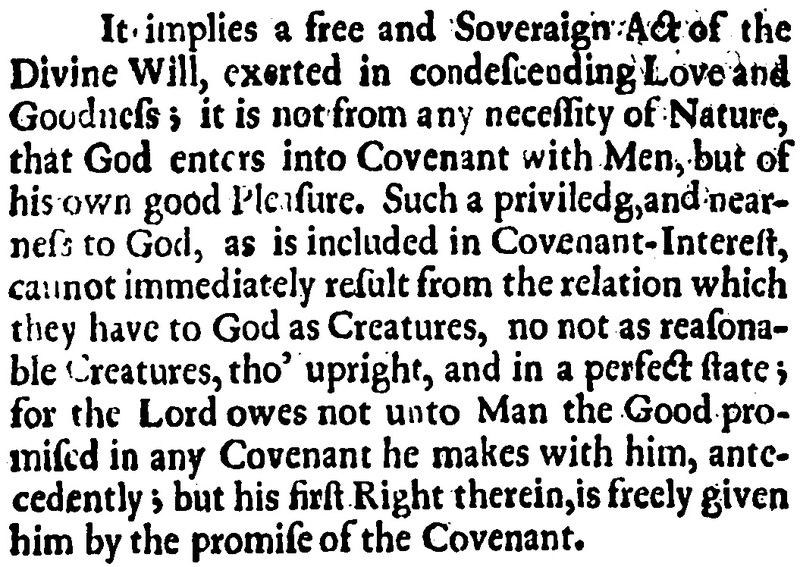 This aligns perfectly with the formal/material distinction because both sides will agree that the material basis of another covenant can be revealed and made known independently in a given covenant without becoming a formal covenant. In other words, the law can play a role in the covenant of grace without turning it into a covenant of works for believers. Likewise, the gospel can play a role in the old covenant without turning them into the covenant of grace. An anonymous Particular Baptist focuses on the betterness of the new covenant’s promises. 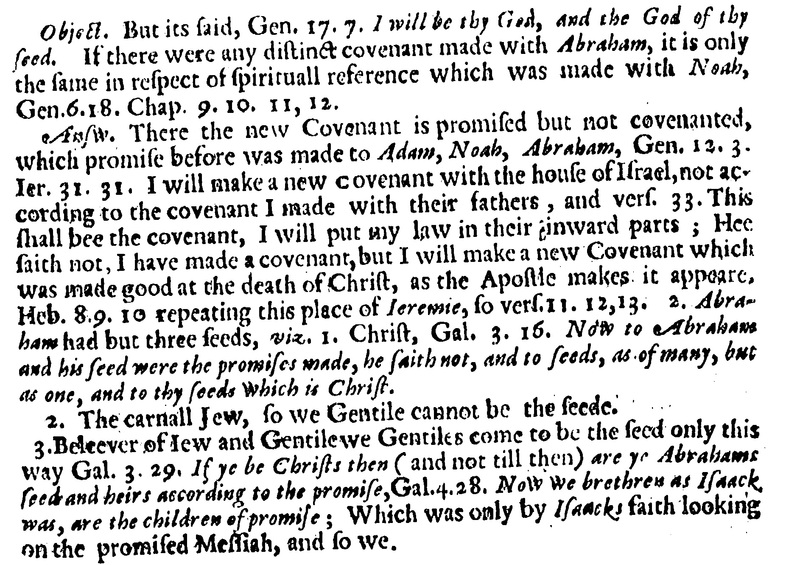 Samuel Fisher highlights the meliority “betterness” of the new covenant’s promises. These excerpts help to highlight the similarity in argumentation alongside of the dissimilarity in arguments between the Particular Baptists and their Paedobaptist brothers. Both sides argued that the law and gospel run through all of the covenants of the Old Testament. 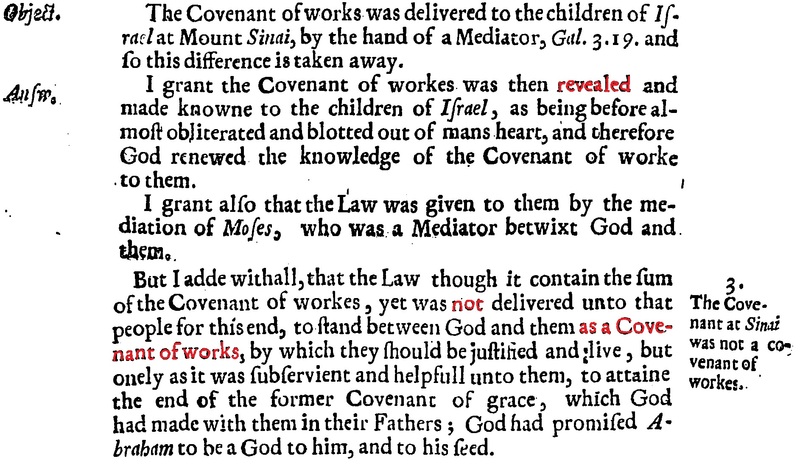 The Paedobaptists were happy to argue that the law was revealed and made known in certain covenants without those covenants being covenants of works. The Old Testament covenants played roles within the two administrations of the covenant of grace. 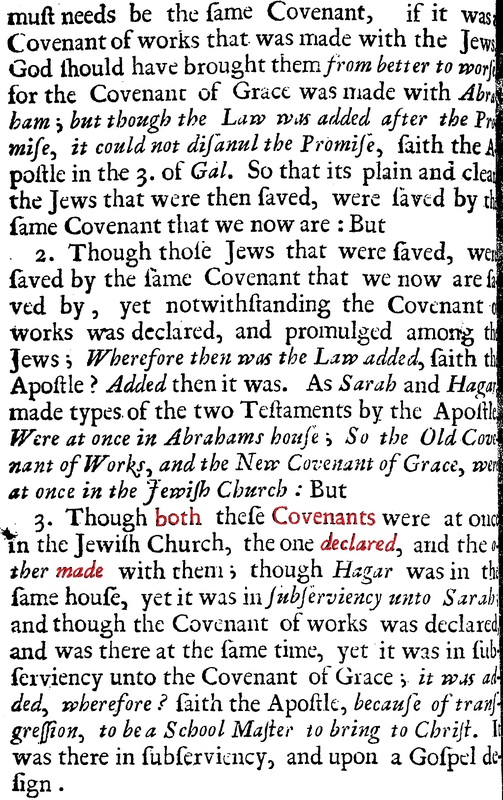 The Particular Baptists argued that the old covenant was a covenant of works for life in Canaan. It was a covenant that perfected no one’s conscience because it forgave no one’s sins. The new covenant, revealed from Genesis 3:15 onward, was the covenant of grace formally established on the material basis of the promise of forgiveness of sins in Christ’s blood. It was established on different promises, better promises, everlasting promises. Recently I have been reading this excellent work by Andrew Woolsey. 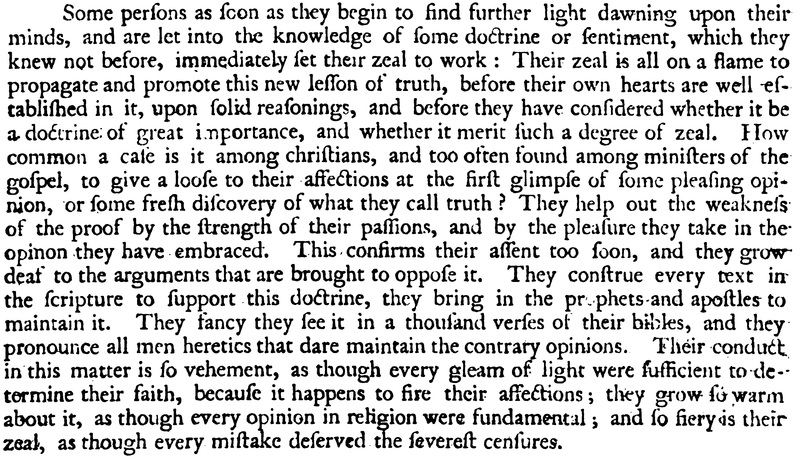 In one section on the primary sources behind the Westminster Confession of Faith, Woolsey shows the strong influence of John Ball on the confession in general and chapter seven in particular. 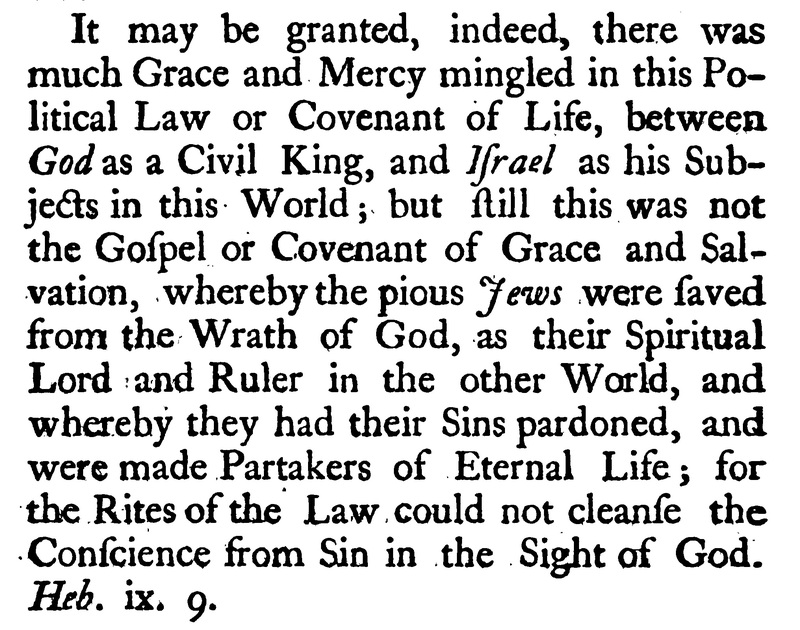 What I want to point out is the concept of covenantal merit at play in paragraph one of the Westminster Confession and the London Baptist Confession. The two confessions are very similar here. 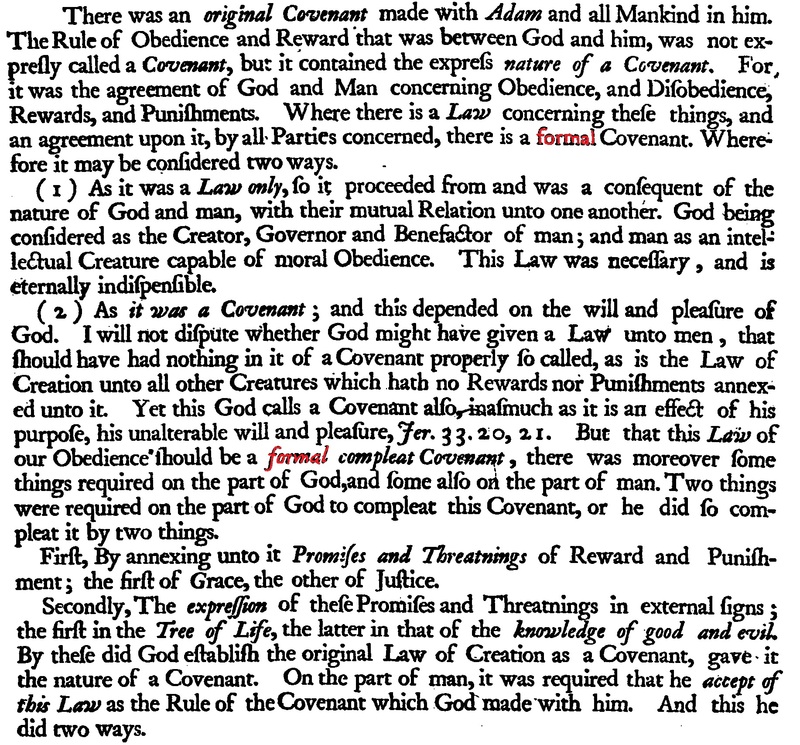 The Westminster Confession speaks broadly by saying that God’s creatures, though they be obligated to obey God as creatures unto their Creator, could expect no reward whatsoever for their obedience. Yet because God voluntarily condescended to make promises to men, he did so by way of covenant. 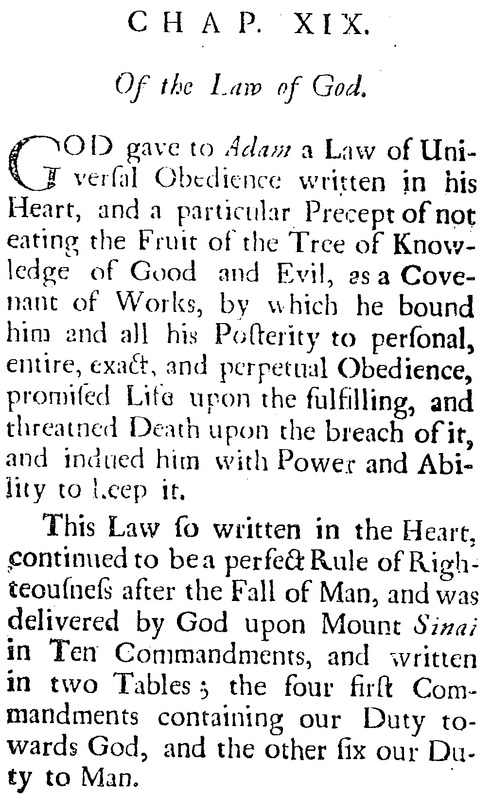 The London Confession follows the Savoy Declaration by narrowing the focus to the reward of life in particular. But the same principle is operative in both, the principle of covenantal merit. In other words, man’s natural obedience due to God according to the law of nature in no way obligated God to give anything to man. 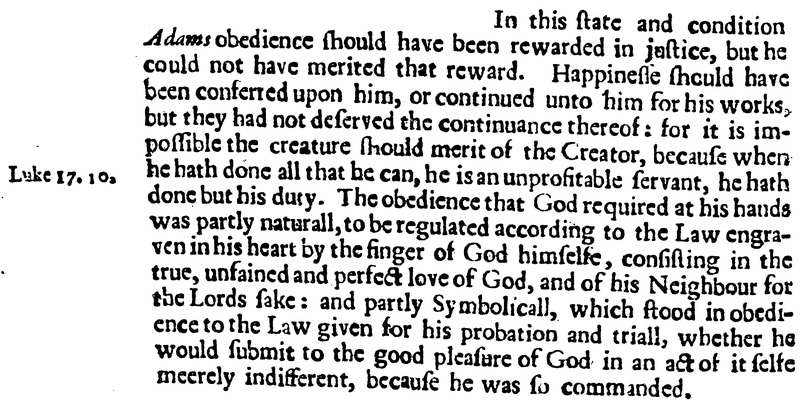 Man’s natural obedience was not intrinsically meritorious. The texts cited in support of this are significant. You can’t give anything to the Creator that does not already belong to him, thus he has no obligation to give anything back to you. But when he does, it is a condescension, and God’s condescension takes the form of covenants. 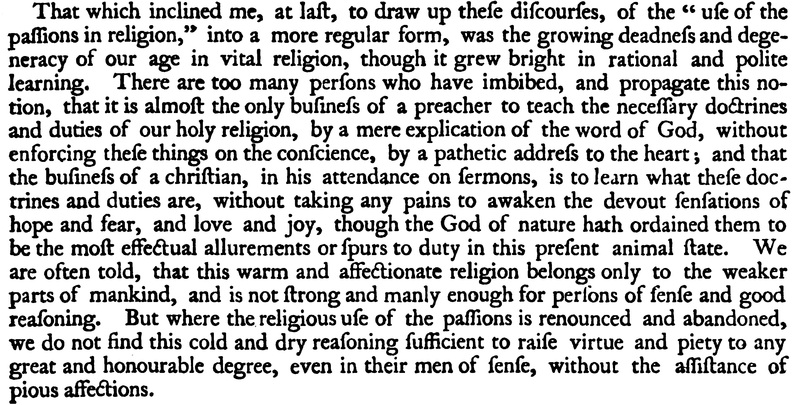 Nehemiah Coxe expressed this well. 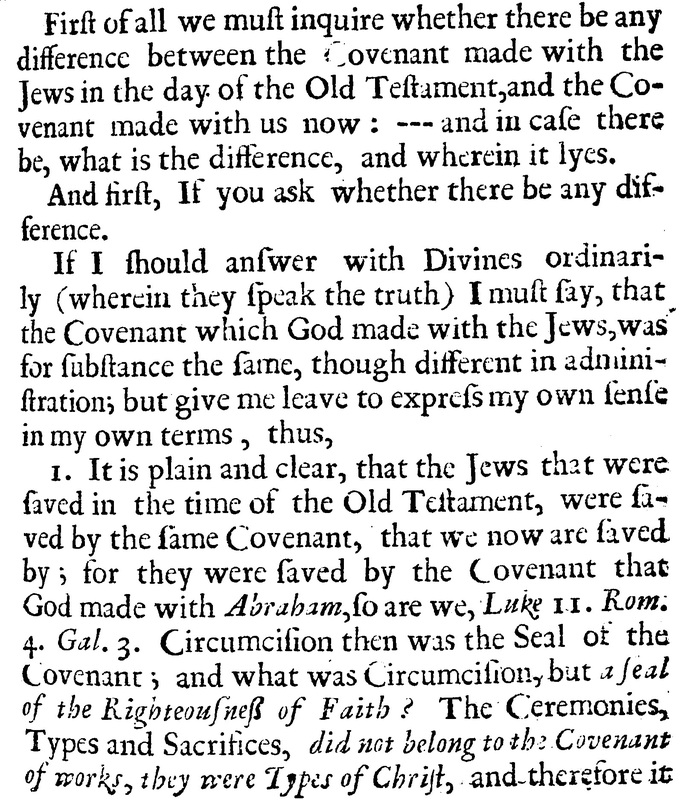 Later Coxe discusses man’s restipulation of the covenant. Restipulation refers to man’s response to God’s introduction/imposition of the covenant. If God places man under a covenant of works, man must work. If God places man under a covenant of grace, man must receive and/or believe the promises given to him. 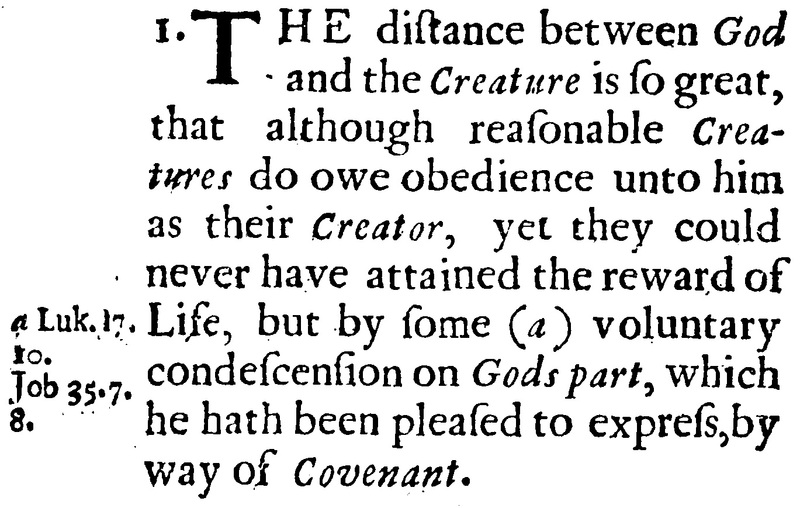 Now, it would be easy to overlook but Coxe makes a brief mention of covenantal merit with respect to a covenant of works. 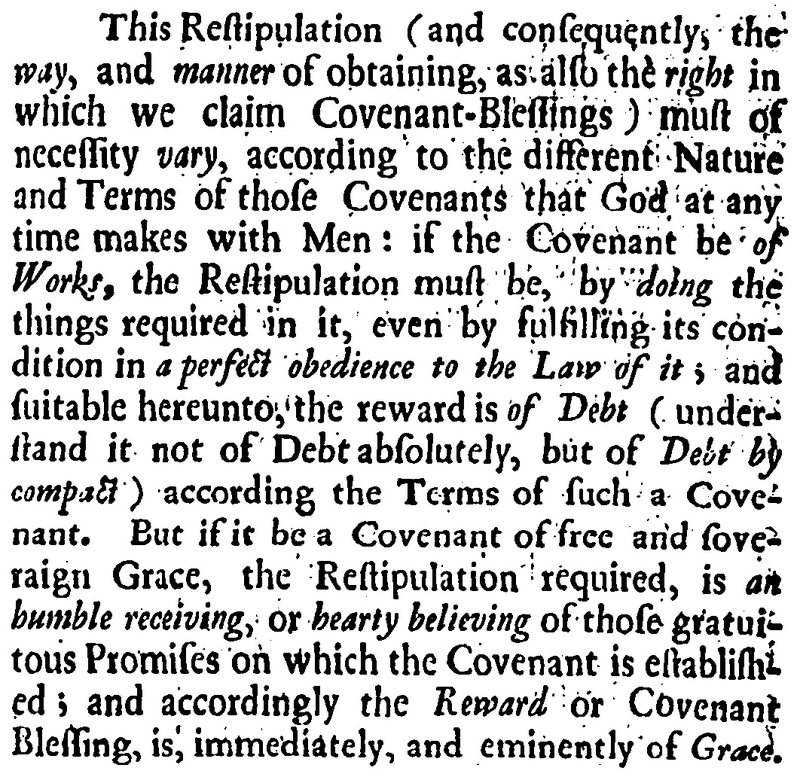 He stated parenthetically that in a covenant of works when man fulfills the obligation he can expect the reward by debt, but this is a debt of compact, not absolute debt. Debt considered absolutely (i.e., on its own), would be something that automatically or intrinsically deserves or demands something. Coxe is saying that our works are not like that. They are not meritorious in and of themselves. 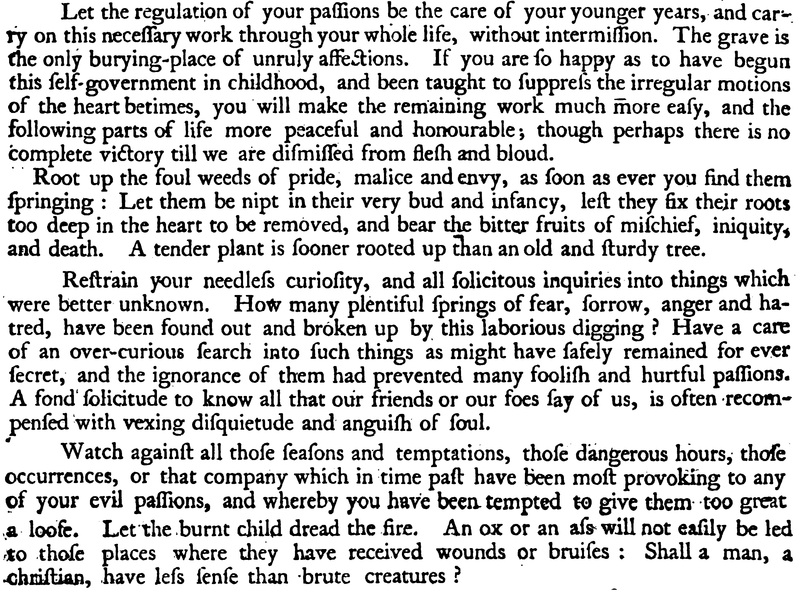 But by way of compact, that is, according to some set of terms, a given obligation becomes worthy of a given reward. This is covenantal merit. God says, “Do this and receive that,” and there it is. Apart from God’s sovereign initiative and condescension, the work would earn nothing (even though it is demanded of us all the same). Coxe goes on, explaining this further. What are some of the takeaways from this? 1. The confessions confess the concept and principle of covenantal merit. God is so beyond man, the Creator so beyond the creature, that nothing could ever be performed by the creature in such a way that it would obligate the Creator to reward him. However, God has condescended to man by way of covenant, and has made promises to him. 2. Narrowing our focus to the London Confession, the confession confesses that God promised the reward of life to man through covenant. There was no other way man could have earned it. 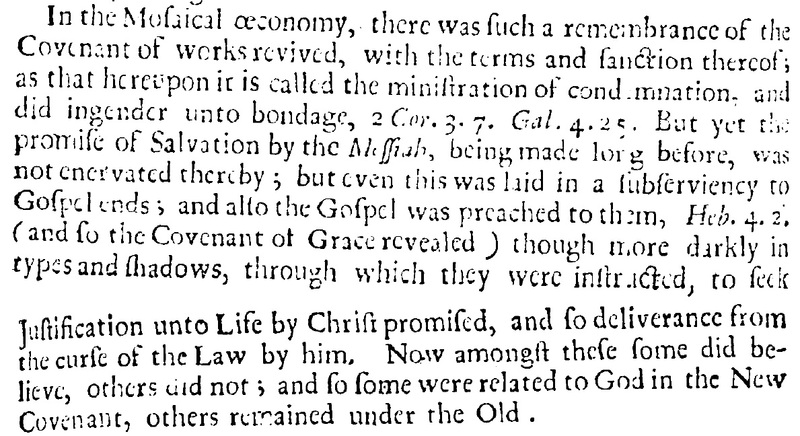 In other words, chapter seven confesses the covenant of works. Trace the reward of life in chapters 6, 19, and 20 and you will find this assertion further substantiated. This one is quite significant, especially in light of the text used as proof. The Best Preachers, Sermons, Worship, and Books EVER! There is nothing new under the sun. The errors of our day are the errors of days gone by because the common thread that runs through every age is the sin of the human heart that lies within us all. 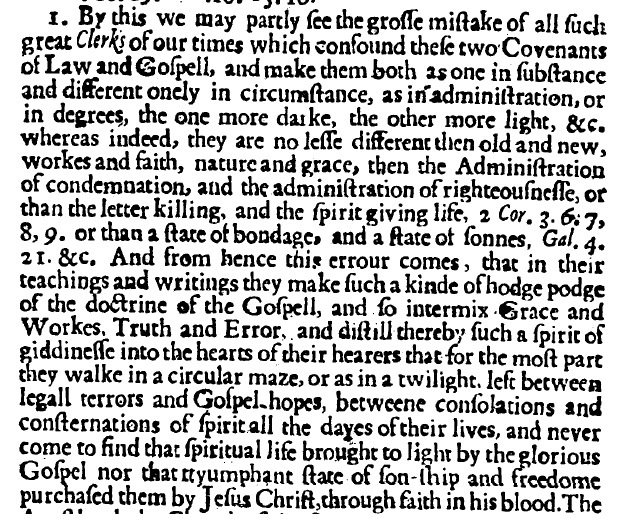 Isaac Watts provides some helpful critiques of these common errors. On one side, many Christians are content with a “dead orthodoxy” in which all that matters is intellectual accuracy. For others, all that matters is what feels right. But the reality is that true doctrine will produce true doxology. What are the dangers of an imbalance in this area? When our emotions are in control, we pursue Christian celebrities. And this in turn can cause us to identify the worth of a sermon with our emotional loyalty to the preacher. Instead of coming to hear the word of Christ from the ministers of Christ to the people of Christ, we come to hear So-and-so who tickles our fancies. Our emotions can cause us to think that the right worship is that which makes me feel a certain way. How can it be bad when it feels so good? Ask Uzzah. We may love the singing more than the song (the words). This is an interesting insight coming from so worthy a hymn-writer. If that’s the way we operate, we will begin to innovate according to our whims. And many, carried away by their emotions, become very poor testimonies for the truth because they are only babies spiritually speaking but they desire to walk and run and talk as adults. Still others will read anything that pleases them. The internet is very good at satisfying such theological prostitution, but sadly even “christian” bookstores are sources of plentiful emotional fluff. 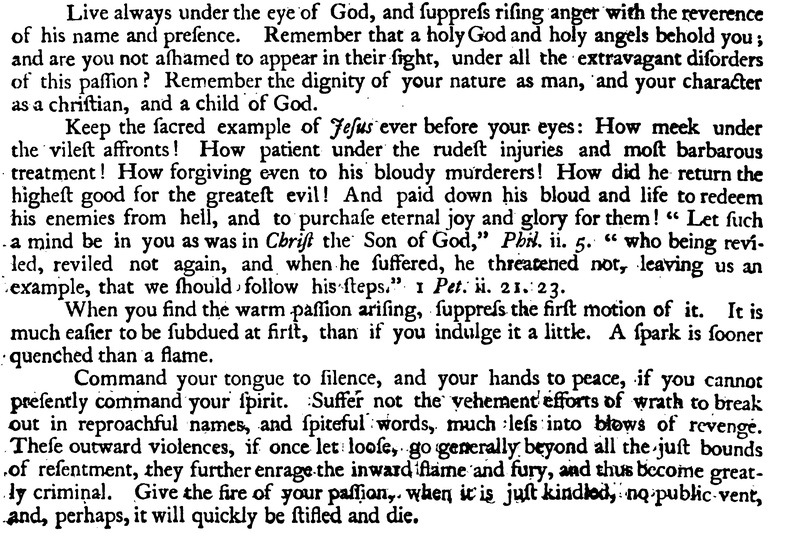 From Isaac Watts’ Discourse of the Love of God and the Use and Abuse of the Passions. This is the 200th post for Particular Voices. That doesn’t mean much, but it sounds nice. Anyway, recently Tom Chantry has posted some helpful thoughts on the divide between Baptists and Paedobaptists in which he offers not only critiques of the situation but also directives towards a more healthy relationship (especially in our online age). It is sad how the internet, which is neither good nor bad in and of itself, has been abused. We would expect this from natural man who corrupts that which is good and suppresses that which is true, but the extent to which Christians have used the internet as an occasion for their own corruption and suppression is distressing. 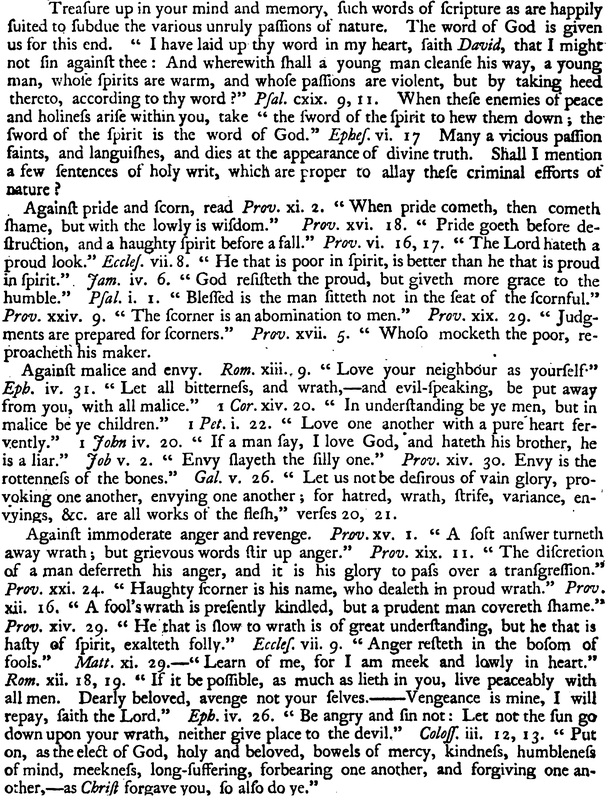 By way of complement to Tom’s proposals, let me add the voice of Isaac Watts who wrote extensively on Christian Internet Etiquette (well…maybe not). 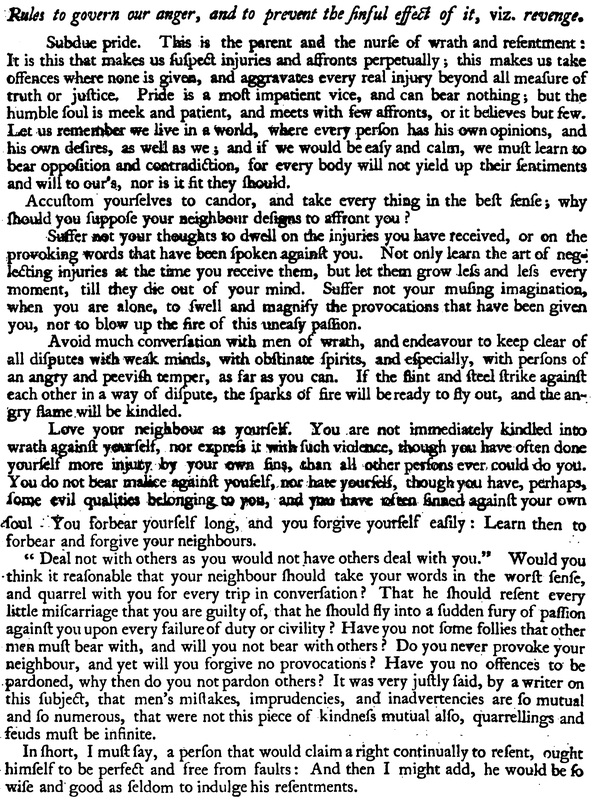 I strongly recommend reading the entirety of what he says below (click the images if you need to read them at a larger size). If you implemented everything he has to say and put it into practice, what effect would it have on your behavior on the internet? See for yourself. 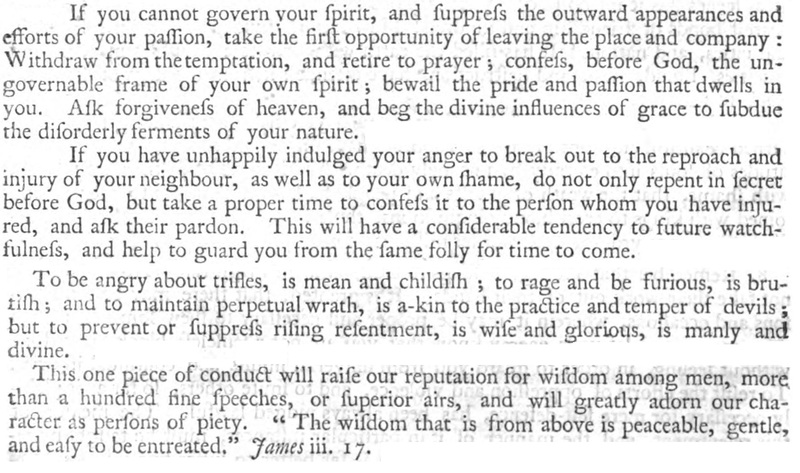 From Isaac Watts’ Treatise of the Passions in a collection of his works. The covenant of grace was revealed through it, but it was not the covenant of grace. It never perfected anyone’s conscience. It effected quite the opposite, in fact.